BALTIMORE, MD (November 15, 2018) – Lt. Governor Boyd Rutherford today presented a proclamation for Rural Health Day in Maryland at a special event at Access Carroll, a nonprofit organization offering quality integrated health care services for low-income residents. 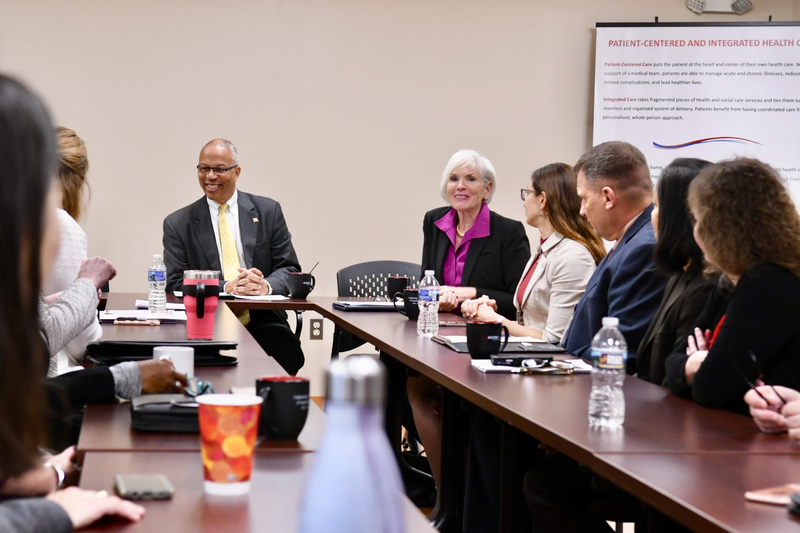 He was joined by representatives from the Maryland Department of Health, the Maryland Community Health Resources Commission, Rural Maryland Council, Maryland Rural Health Association, University of Maryland Eastern Shore, and Rural Health officers and advocates from across the state. National Rural Health Day brings to light the unique health care challenges that rural citizens face and showcases the efforts made by rural health care providers, State Offices of Rural Health, and other rural stakeholders to address those challenges. Many rural residents face structural, economic, and physical barriers to health care while rural health care providers seek strategies and opportunities to increase access and services available to their communities. With 25 percent of Marylanders living in rural communities, it is more important than ever for increased access to care by reducing transportation barriers, removing gaps, and access to general practitioners, specialists, behavioral health, and oral health providers, as well as urgent care and emergency facilities. To further bring awareness, earlier today the Maryland Department of Health hosted a series of web presentations featuring topics including funding opportunities, strategies to reduce uninsured rates and opioid overdose, the Maryland Rural Health Collaborative, and an overview of the 2018 Maryland Rural Health Plan.